It’s pastel time! This month we dive into an uncommon type of pastels. This month your basic box includes two PanPastel colors, a special pack of sponge bars for blending, a LePen Brush Pen, and a Conté pastel pencil. PanPastel Colors are professional artists’ quality soft pastel colors packed in a unique pan format . The special qualities of PanPastel Colors mean that artists can blend and apply dry color like fluid paint for the first time. You can mix and apply the colors with the included specialized sponge pack. These sponges are perfect for picking up the pigment, blending it, and laying it down on paper or canvas. We also included a LePen Brush Pen for adding black work to your piece. Finally we included a Conté Pastel Pencil to allow you a bit more precision in your piece. Use it to embellish the details in your creations. 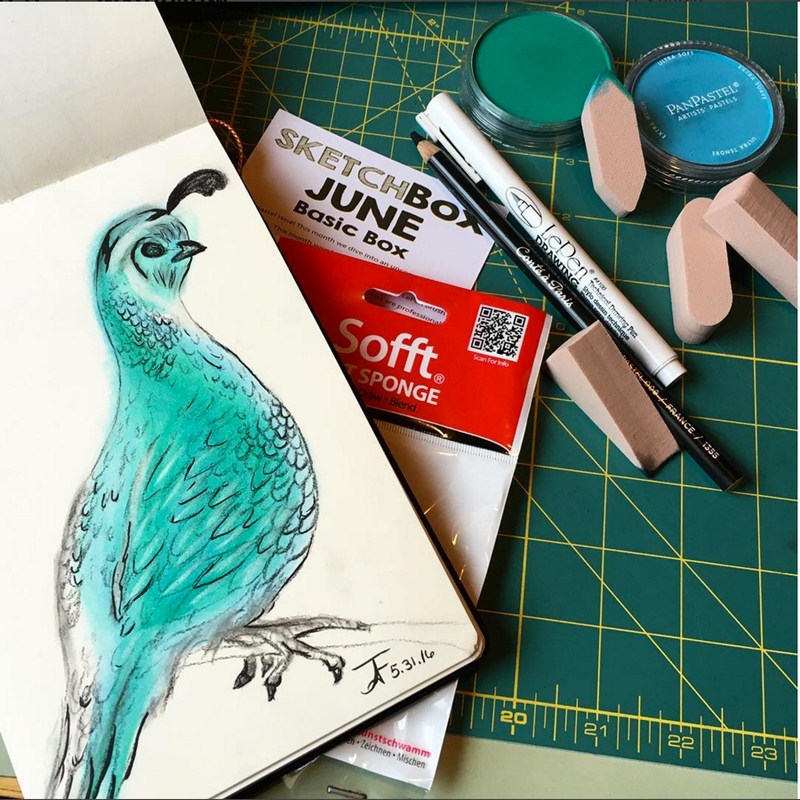 Have fun exploring your new supplies and remember to tag your art with #SketchBoxJune if you’d like be included in our monthly contest - the winner gets their art printed on a future box lid! Art in image by @afritz55 on instagram.